The Asynchronous BFT model is best suited for Blockchain implementation. The messages are delivered to different nodes with no timing assumptions. Each message is encrypted using the public key encryption method of cryptography. Regardless of how network conditions fluctuate, the throughput tracks available network bandwidth. Thus, providing better throughput, high security. Due to batch processing, it creates a multi-level pool of nodes, there by providing better efficiency in reducing cost. Thus, making it as most difficult cases of node failure. Because of the above stated problem, the solution to Byzantine fault tolerance for blockchain becomes more critical. If BFT is not implemented in Blockchain, the chances of peer node able to transfer false transaction within the blockchain network make it susceptible to blockchain reliability. And with no centralized authority to monitor, makes the situation beyond damage repair. Since Blockchain is a decentralized ledger having no control any central authority bodies, value stored in these ledgers if faults can be created will have huge economic gains to the hackers. BFT is one of the most studied concepts in distributed systems. Its integration via various BFT algorithms makes it to be one of the key components of cryptocurrencies. Conclusion: The study shows that For the Private Blockchain network, the number of people able to access is very low based on the conditions and high security. Because of the same reason the accessibility by untrusted sources are greatly reduced. Thus making Private Blockchain a more secure and trusted network. As more and more platforms try to innovate and develop consensus models within blockchain systems, coming up with advance BFT algorithms will be important in keeping up the network integrity and trustless nature. At MagicBlockchainqa, we are helping the global FinTech companies to test and implement their Blockchain model successfully. Our highly skilled Blockchain QA team offer end to end product testing on Blockchain network and smart contracts. With in-depth domain understanding, can help in automating the regression test bed for easy and production-ready solution. 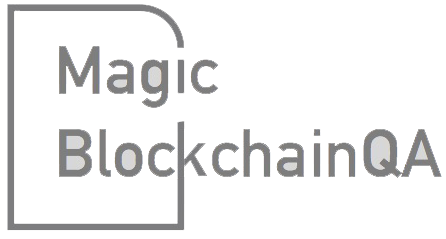 To know more about our FinTech focused BlockChain please contact us at www.magicblockchainqa.com.